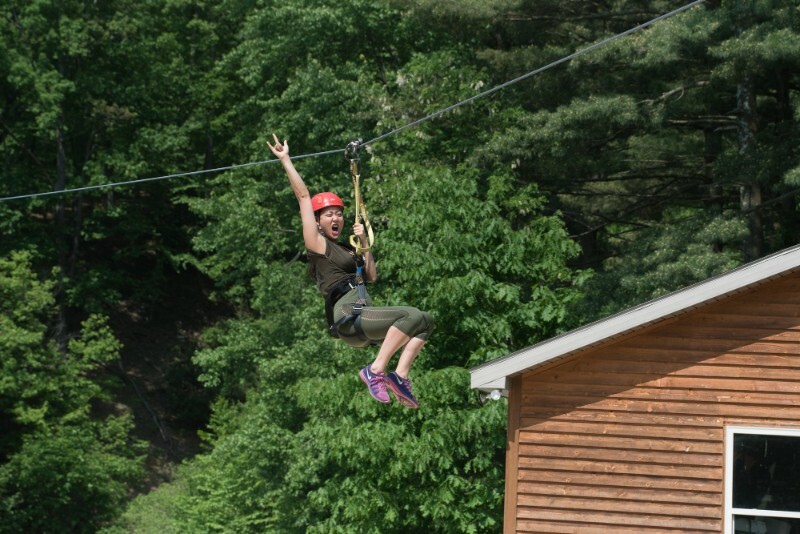 THE ULTIMATE JEWISH SUMMER CAMP EXPERIENCE…WITHOUT ALL THE RULES! 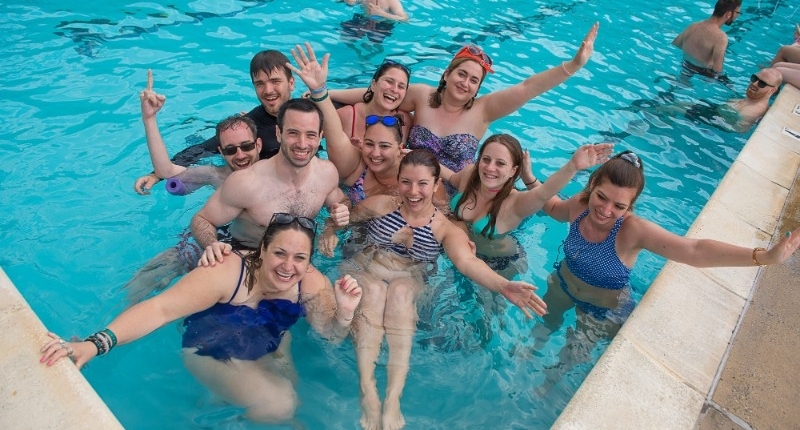 Camp Nai Nai Nai is the ultimate Jewish summer camp for young adults in their 20’s and 30’s! Follow your curiosity and relive the passion of your youth, where what you do for a living doesn’t define you, and spontaneous adventures await. 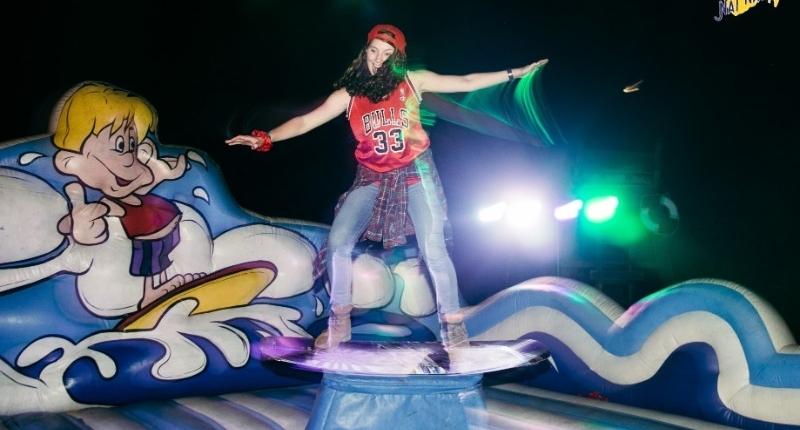 Recharge your city-worn spirit and tap into the exuberant energy only found at camp. 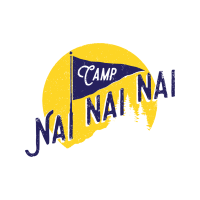 As an inclusive and pluralistic Jewish space, Camp Nai Nai Nai offers you the Shabbat experience of a lifetime – amongst free-spirited friends (new and old) from around the country, against a picturesque backdrop of a campfire, lake, and sprawling night sky full of stars. Make the most of your getaway weekend with creative Playshops (there is no “work” at Camp Nai Nai Nai), refreshing dips in the lake, spirited song sessions, color war, cozy all-camp meals, and more. Camp Cabins – Featuring classic bunk beds, you can choose to be in an all boys, all girls, or co-ed “genderful” cabin. Private Bunks – Not up for being in a bunk with others? No problem. We always offer a private space option for up to two people. Tent Village – Ready a real outdoor adventure? Stay in our tent village! At some camps tents are provided, at others you have to bring your own. Check out each camp for details! This won’t be your typical camp food. Our camp chefs work hard to create menus that are filled with healthy, diverse menus that are super tasty to boot! We’ll have meals that are a twist on old camp classics, but with upgrades for our adult palettes. Our culinary team will work with each camper to ensure that any dietary restrictions are accounted for. Gluten-free? No problem. Not so great with dairy? You’ll be great with the options at camp! You’ll have the opportunity to indicate your dietary restrictions when completing your registration form. Some of our camps are Kosher-style while others are Glatt Kosher. Please see individual camps for details. From color war to pool parties, storytelling ‘round the campfire to dance parties, our daily camp-wide programs will bring us together for memorable community moments. There is a fun, and possibly wacky, camp program planned for each evening. One of the highlights is a camp-wide festival, where we’ll dance, chill, eat, drink, and celebrate. Explore the featured carnival activities with your friends including live music, photo booth, lawn games, face-painting, glow in the dark things, inflatables, and plenty of drinks and snacks. What does the name “Camp Nai Nai Nai” mean? Singing an integral part of Jewish tradition. You may or may not know the words, but everyone knows what to do when it comes to the “Nai Nai Nai” part of the song! Whether you are Reform, Conservative, Orthodox, just Jewish, “Jew-ish”, all or none of above, Camp Nai Nai Nai is where we sing the wrong words to the right songs, making up the rules and lyrics as we go along! Spontaneous dance parties and many other surprises along the way! There will be additional premium snacks, drinks, and swag available for purchase using a credit card during the weekend, for those who decide they want to up the ante. Are there any camp rules? 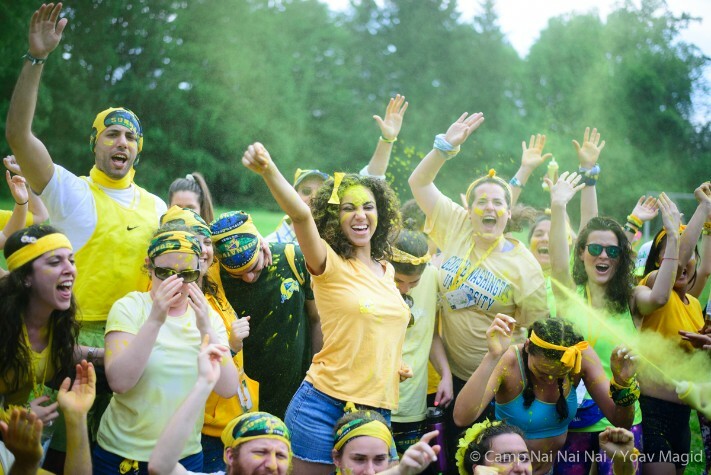 Imagine a place where adults really let go, laugh uncontrollably, sing during meals, and stay up late sharing secrets; where what you binge on is arts & crafts and the sweat earned from color war is enough liquid courage to bust out your favourite moves at the camp dance. 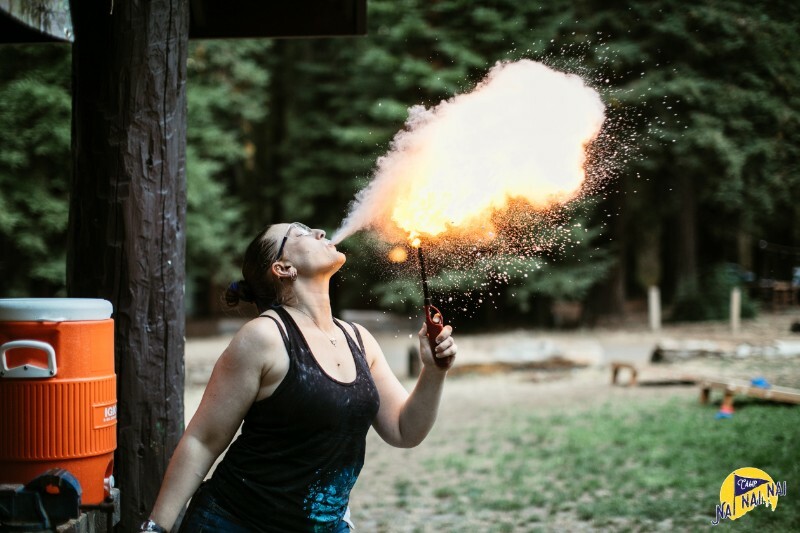 Adults Only: This is a summer camp for adults (21+). Leave your children and pets at home. Yes, imaginary friends are welcome. Leave Time Behind: No need to carry your phone or wear a watch. You’ll get the schedule at camp and enjoy each moment as is – no matter where you are, you are always right on time. Love Thy Neighbor: You don’t have to get along with every single person you meet. But, you do have to treat everybody with respect and dignity. At camp, we are creating an inclusive, welcoming environment, so make sure you’re treating others the way you’d want to be treated. Cool? K, thanks. Less W-Talk: Talking about work is boring. Exploring, learning and playing with your camp buddies is way more fun! This is not the place to network or find connections for your J-O-B; camp is for making friends and memories. Say No to Illegal Drugs: That’s not how we roll at Camp Nai Nai Nai. So, don’t bring ’em and don’t use ’em. You’re Down With O.P.P. : You know it’s not cool to mess with other people’s property (O.P.P. ), whether it’s the camp’s or another campers’. Meaning, don’t cause damage to the facilities, equipment, materials or other property that does not belong to you. Why is camp so affordable? We are proud and grateful to have the backing of Maimonides Fund. Thanks to their amazing support, the cost of camp is hugely subsidized, so camp is super affordable for you! Can I stay with friends? Obvi. You can request friends you’d like to bunk with when you complete your registration. And, you can always contact us directly if you want to add someone later on. Kids are great! Pets are awesome! But camp is for adults 21+ only. Use this as a getaway weekend – drop your kids with your family or friends; leave your pets with your trusty pet sitter – come to camp to relax, rejuvenate, have a ton of fun and enjoy taking a break from your routine. Are the bunks separated by gender? We have options for campers can choose to stay in bunks that are male-only, female-only or “genderful” (all-gender) cabins, which welcome campers who identify any which way. You will be able to select your preference during registration. We also have private accommodations available. Are there a group discount? TOTALLY! Groups of 4 or more can come to camp together and each save $25 per person! (You must register with one payment.) What a great reason to get your friends together for a totally awesome long-weekend, friend reunion, or celebratory gathering. Best of all, we’ll do all the planning and you just come and enjoy! Once 4+ tickets are added to cart $25 will be deducted automatically from each ticket. Will camp be able to accommodate my dietary needs? Our culinary team will work with each camper to ensure that any dietary restrictions are accounted for. Gluten-free? No problem. Not so great with dairy? You’ll have great options at camp! You’ll have the opportunity to indicate your dietary restrictions when completing your registration form and if we have any questions for you, we’ll be in touch ahead of camp so we can make sure you’re well taken care of during the weekend. Some of our Camps are Glatt Kosher while others are Kosher style. Please see individual camp info for details. We’re all adults who like to kick back. Beer and wine will be available during evenings and free time, plus additional cocktails during the Camp Festival. Each camper will receive drink tickets upon arrival to use throughout the weekend when the bar is open. Additional drink tickets may be purchased, if you so choose. Pack light but for lots of activity and fun! Think bathing suit, sporty shoes, activewear, sunglasses, costumes for themed meals, sunblock, and more. Don’t worry – we’ll send out a suggested packing list to registered campers closer to the start of camp, so you can come fully prepared for a stellar weekend of playing in the woods! Camp is a closed campus from Friday evening through the end of the program. We understand that sometimes plans change and you can’t predict that last minute curveball. Do your best to let us know in advance if you have any scheduling conflicts, so we can work with you to figure out the best solution together. However, please understand that program costs cannot be prorated. All purchases are final. Call our office if you have an extenuating circumstance that you want to discuss with our team.